Happy International Women’s Day! Today countries around the world celebrate the contributions of women past and present. A Mighty Girl has chosen to mark the day with this blog post featuring eight amazing women from around the world. Some of them will be familiar, but some of them will be new to you; all of them have left their mark on the world. We have included reading recommendations for children and youth about each of the featured women. To view our complete selection of over 350 inspiring biographies of remarkable girls and women, visit our biographies collection. Baker was the chief librarian of Al Basrah Central Library in 2003 when the war in Iraq began. 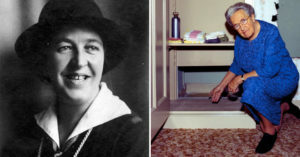 When she was denied permission to move the books, even after government offices moved into the library, she started smuggling books home; and when the officials fled the British advance and looters started to enter the library, she convinced the owner of the restaurant next door to allow her -- and eventually neighbors who joined her mission -- to store books safely in the dining room. Thanks to her efforts, 30,000 books were saved and became the core of a rebuilt library in 2004. You can read more about Baker in The Librarian of Basra: A True Story from Iraq (ages 5 to 9) or in Alia’s Mission: Saving the Books of Iraq (ages 8 to 12). Maathai was a Kenyan environmental and political activist who founded the Green Belt Movement in the 1970s. The movement, a non-governmental organization that combines concerns for national development, the environment, and women’s rights into a holistic approach -- organizes women in rural Kenya to plant trees while also training them in trades like forestry, food processing, and bee keeping to encourage ongoing income and an educated approach to husbanding their lands. in 2004, Maathai received the Nobel Peace Prize for her work with the Movement, becoming the first African woman to win the award. You can discover books about her remarkable life by visiting our Wangari Maathai Collection. Mistral was born Lucila Godoy Alcayaga, a poor girl in Chile, but by the time of her death, she was an internationally known poet, educator, diplomat, and feminist advocate. 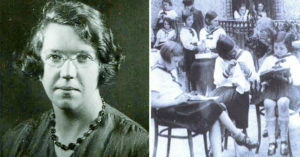 After winning the national literary contest Juegos Florales in 1914, she rose through Chile’s educational system and worked with the League for Intellectual Cooperation from the League of Nations. She also published many poems and over 800 articles and essays. In 1945, she became the first Latin American, and only the fifth woman, to receive the Nobel Prize in Literature. You can read more about Mistral in My Name is Gabriela/Me llamo Gabriela (age 4 - 8), which is written in both English and Spanish. Ebadi is an Iranian lawyer and former judge -- the first woman judge in Iran. Ebadi was one of four founders of the Defenders of Human Rights Center in Tehran. The Center, which is part of the International Federation for Human Rights, defends the rights of women, minority groups, and political prisoners in Iran. Ebadi received a Nobel Peace Prize for her legal work in 2003; however, the prize medal was removed from her bank safety deposit box in 2009. Ebadi alleges that they were taken by the Revolutionary Court; if her allegation is correct, she would be the first person in history of the Nobel Prizes to have her award seized by state authorities. Suu Kyi is a Burmese politician who was one of the world’s most prominent political prisoners after being detained in house arrest for almost 15 of the 21 years between 1989 and 2010. She has written and spoken passionately about the need for democracy and the value of non-violent civil resistance. In 2012, she won the by-election for a seat representing Kawhmu Township; she attended parliament as a lawmaker for the first time on July 9, 2012. Suu Kyi was the recipient of a Nobel Peace Prize in 1991; among her other international honors, she was made an honorary citizen of Canada in 2007 and was presented with the US’ Congressional Gold Medal in 2012. Suu Kyi is among the women featured in Amelia to Zora: Twenty-Six Women Who Changed the World (age 7 - 12). Cruz was a Cuban-American salsa performer who was known as the “Queen of Salsa.” By the 1950s, she was renowned throughout Latin America as the lead singer of the Sonora Matancera, but after Castro assumed control of Cuba she and her husband became US citizens. During her time in the US, she recorded dozens of albums, including Ritmo en el Corazon with Ray Barretto, which won the 1990 Grammy Award for Best Tropical Latin Performance. Upon her death in 2003, more than 200,000 fans came to pay their final respects. You can read more about Cruz in Celia Cruz, Queen of Salsa, a picture book biography for ages 4 to 8. Elizabeth is a lawyer and diplomat from the Kingdom of Toro in Uganda. She was the first East African woman to be admitted to the English Bar and was Uganda’s first female lawyer. She lived through the despotic rules of Milton Obote, who abolished Uganda’s traditional kingdoms, and Idi Amin. She returned to Uganda in 1979 to assist with the nation’s first free national elections, but after Obote won the presidency and continued executing opponents, she and her partner escaped to London. After Obote was overthrown in 1985, Elizabeth returned to Uganda and was appointed ambassador to the US. She is currently the High Commissioner to Nigeria. You can read more about Elizabeth of Toro and other African princesses past and present in African Princess: The Amazing Lives of Africa’s Royal Women (age 8 - 12). Of course we’ve barely scratched the surface of the list of amazing women in far and recent history. For biographies of women from activists to writers, please see A Mighty Girl’s biography section. And if you know more good biographies about inspiring women, please send us your recommendation via the “feedback and support” button on the right of your screen!